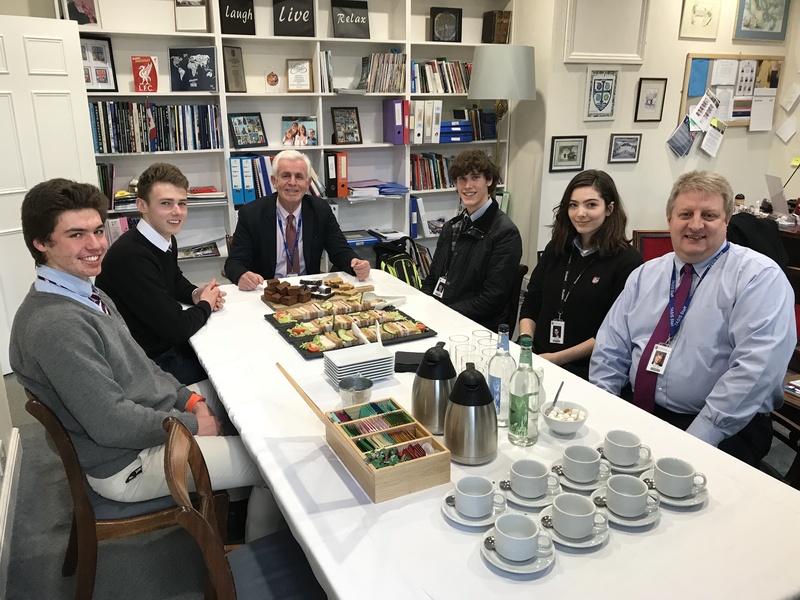 Four of our Upper School students enjoyed tea time with Mr. Nixon and Mr. Tragas this week. This is a great way to celebrate success outside of the classroom. Lily loves theater but also sings and dances. She owns her own Shakespeare company and has participated in numerous plays on campus and in other theaters. Ben has been a member of the Great Britain tennis team since he was 11. He is currently the highest ranked GB boy for his age internationally. Sean was a National Merit Scholarship semi-finalist and he is a TASIS England cross-country star. We recently saw him playing bass at a school concert. And Phil made history becoming the youngest ever top 10 finishers in the world famous Le Mans 24 Hour Race this year.